SHE’S A GRAND OLD FLAG! My Dad is quite a guy! 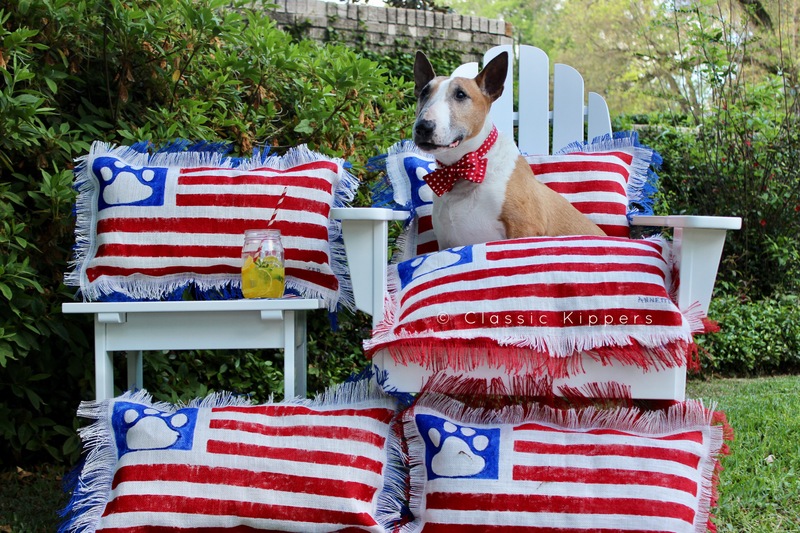 He actually bought and put together this white Adirondack chair, which I believe involved “hundreds” of screws, just so I could showcase these beautiful pillows made by the artists of Evergreen, who are challenged. 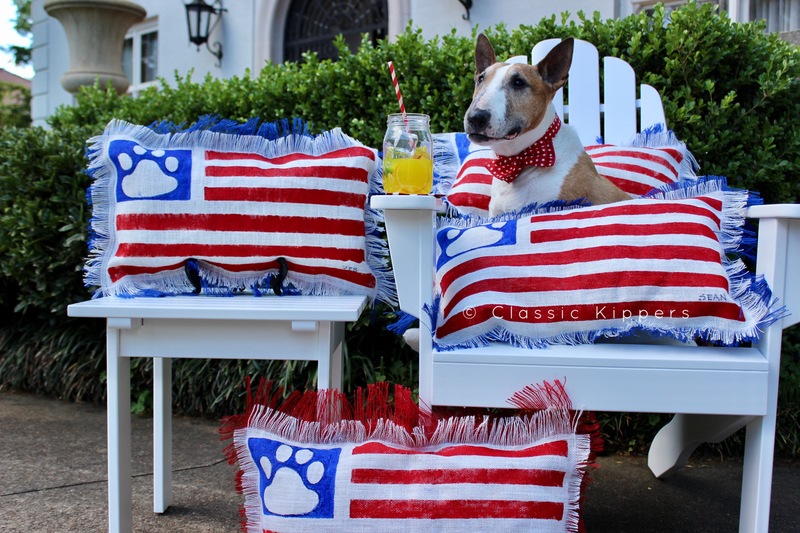 They work very hard and do such a nice job making these delightful patriotic flag pillows! I know these look like me, but this doesn’t have any connection to me nor my fundraising for Classic Kippers, but after all, we should always help others, should we not? Remember, JUNE 14th is FLAG DAY and then there is THE FOURTH OF JULY! 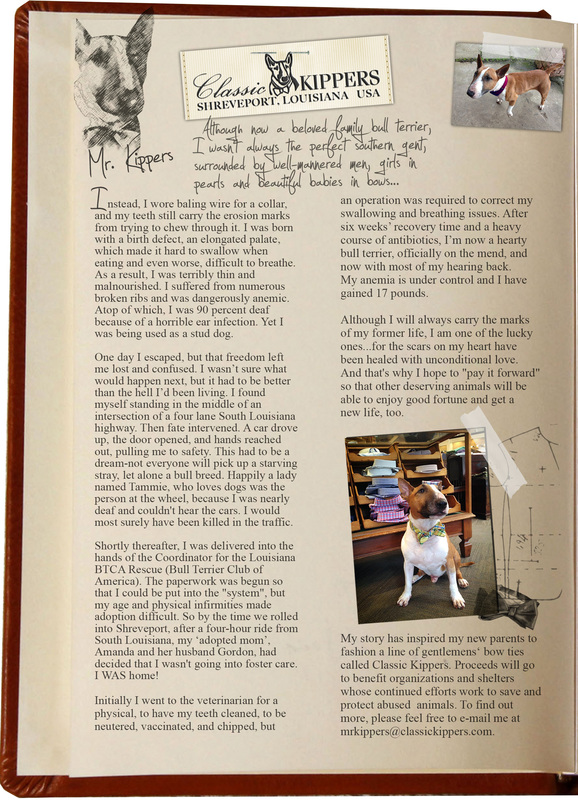 After all, Southern hospitality is the lifeblood which courses through our veins. 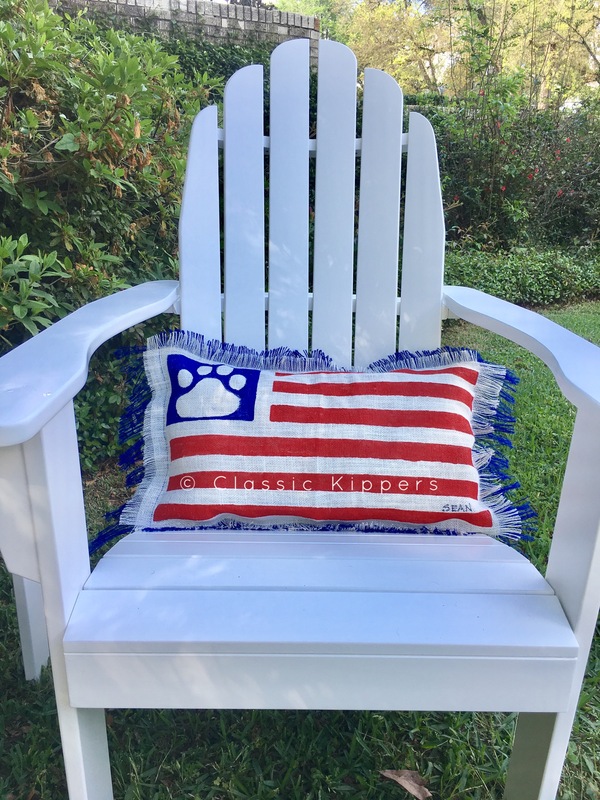 A few of these beautiful handmade and hand painted pillows lovingly placed upon a wicker settee or a porch swing, a cold pitcher of lemonade and some warm ginger snap cookies on a table nearby to welcome a gathering of friends on a sultry summer afternoon. Gracious ladies, elegant in straw hats, gauzy linen dresses- always in their pearls- these Southern Belles on the arm of gentlemen, impeccably turned out in seersucker suits, white bucks and the appropriate Classic Kippers’ bow ties! 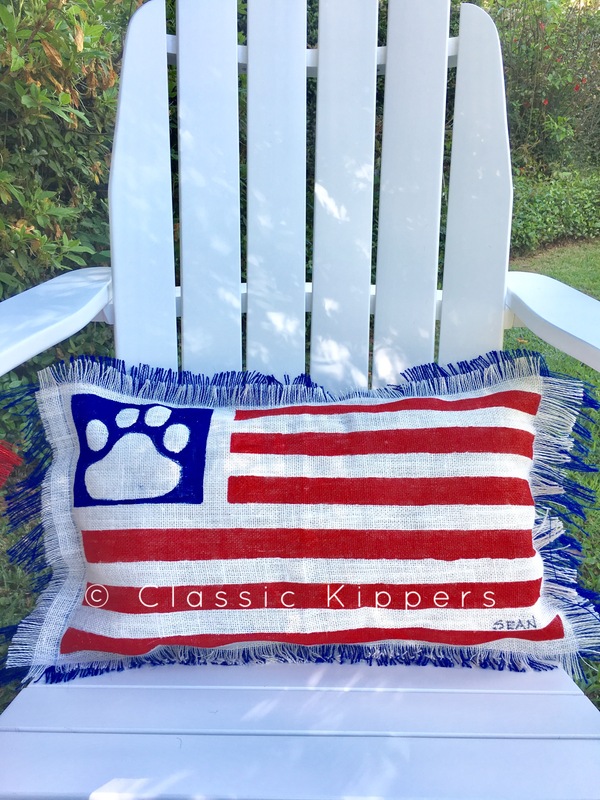 Make your summer a feel good summer – for yourself and for the artist, who despite his or her challenges, has created a lovely patriotic piece for your special place. 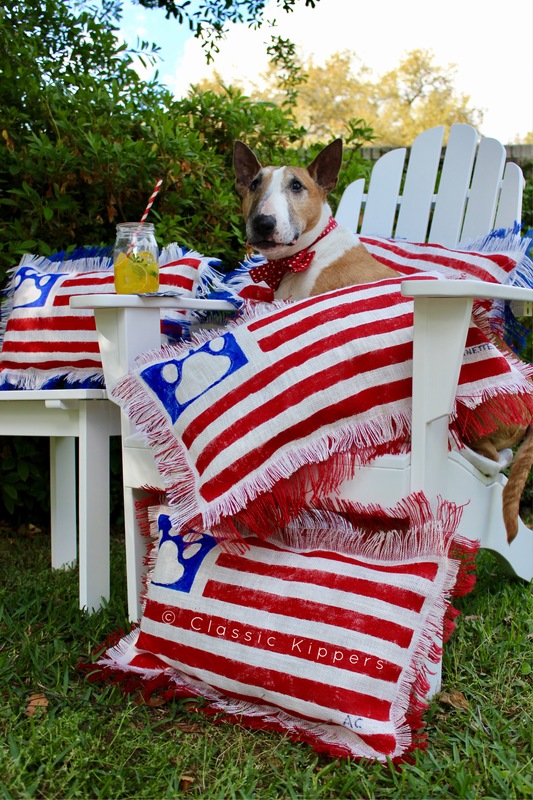 Show your patriotism and your love of animals!